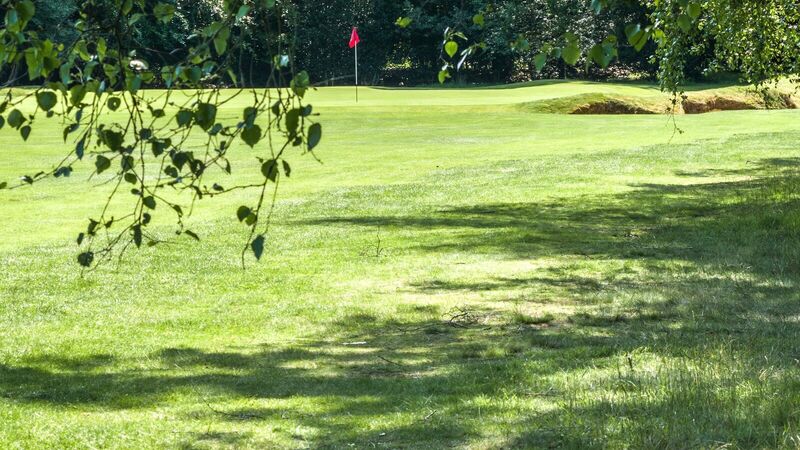 Dress Code :: Liphook is a traditional golf club with one of the best courses in the country. Opened in 1923, the course was soon recognised by the R&A as an exemplary inland heathland course and is also an early example of strategic design for golf courses. Clean golf, sports and casual wear. Tailored shorts, above the knee (men). Short, predominantly white, socks or coloured long socks (men). Men’s shirts tucked in at all times. Hats and baseball caps (peak to the front). Tee shirts, and clothes carrying large or offensive slogans. The acceptable and unacceptable “course” code above applies, with the exception that smart denim jeans, of any colour, are acceptable (but not torn or worn below the hip). Golf shoes are only allowed in the “Spike” bar. Jackets and ties (or equivalent for Ladies) are always welcome in the Dining Room, but not required (unless prescribed by the event organiser). Wi-fi is installed in the clubhouse for access to emails and the internet using mobile devices. The use of mobile phones for voice calls is prohibited in the clubhouse and phones should be switched to silent. They may be used on the course only in an emergency. Organisers are asked to inform their players that parking in the Car Park adjacent to the Club House is for Liphook Golf Club Members only.